Victoria B.C. 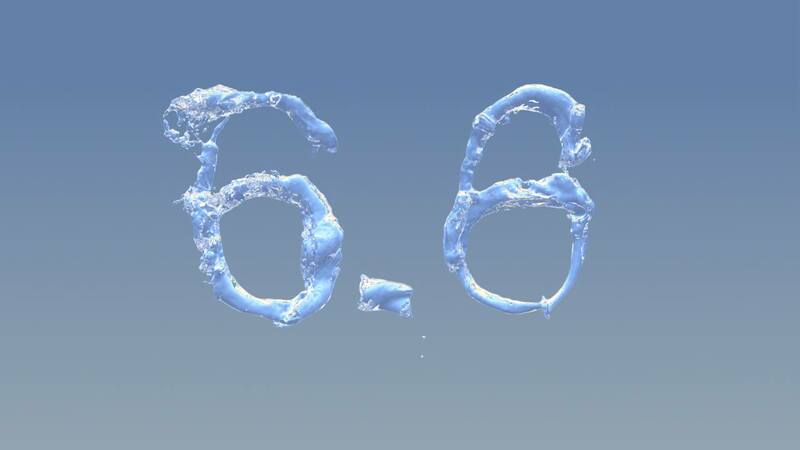 February 7, 2018 - cebas Visual Technology has released the latest thinkingParticles Drop 6.0 update for all our Subscribers. The updates will also be available to educational licensees at a later time. The main update to look out for in Subscription Drop 6 is the All Purpose Fields or short: APF, made out of seven operators in the APField menu. The purpose of APF is to offer the FX professionals even greater art-direction when creating complex particle simulations and flows. With complex technology made simple, cebas hopes that creative production and visual objectives are more readily achieved. 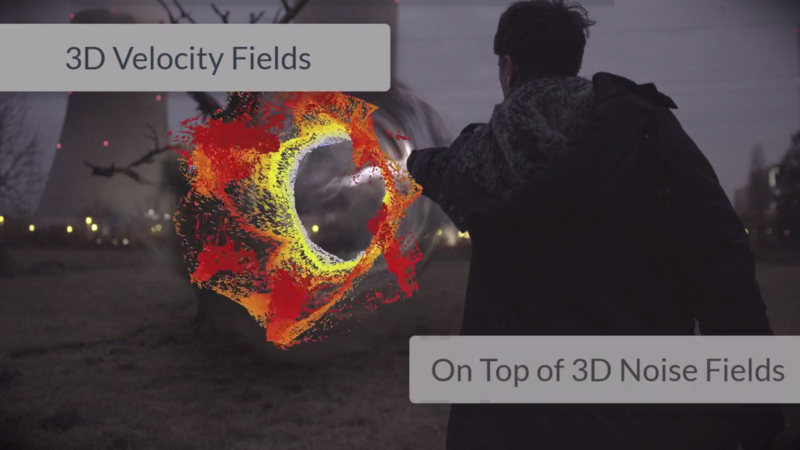 AP-Fields are powerful volumetric operators allowing you to create and manipulate forces in 3D space that will affect particles in multiple ways, as they move through such fields, such as velocity control of particles and direction flow. While developing these new set of operators, our main focus has been to offer easy-to-use tools for delving and manipulating vector fields right within thinkingParticles. Such operators deal with 3D space and specifically vector fields, a basic school level understanding of vectors and the related math is expected. However, the fun part is cebas team has minimized the burden to use complex setups with multiple vector math nodes to achieve forcefield effects. You can access this new set of nodes from Operators → APField menu. We mention here just two from the several unique APF operators: the APFInterpolate, used to read the field volumetric data at a specific position and return the interpolated result; and the APField, an advanced "satellite" like operator that can be used across multiple dynamic sets, similar to the one found in the new physics or Flow Solvers. Drop 6 update also includes Workflow and Operator enhancements such as an Offline Help now accessible to Subscribers via the Internet or no-internet installation help file. Math Helper and GeomParticle Helper nodes enhanced. Objects can also be exported by material using AlembicExport. Fluid and Rigid Body interactions have been enhanced a lot - Try it. Mentions here are not exhaustive and Subscribers are invited to download from cebas Product Manager and explore AP-Fields.